"I’ve suffered from depression from a young age, so there have been times when I have found life tough. My close friend took his own life when he was 31 in 2013 and I’ve lost several other friends to suicide too. 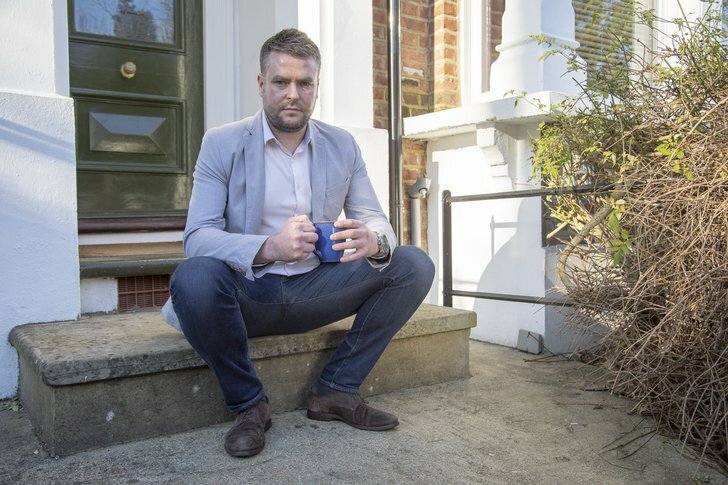 Having had suicide attempts myself in the past, I now actively campaign for more of focus on the importance of human connection. "In 2016 I lost my job and my home in the space of a couple of months. I had been struggling with depression for years, but these events lead me to feeling like suicide was the only option. "For months I didn't think I would get through it. I had support from the crisis team in my local area, as well as from my family. The biggest source of support at the time was from my girlfriend who was amazingly supportive, and basically kept watch over me day and night. I attempted to take my own life twice over one weekend in late 2016 and after the second failed attempt, something changed in my mind and I didn't want to die that way anymore. I started talking and opening up about everything, and over time my outlook on everything started switching to be more positive. I started walking and exercising more, drinking less and I became more comfortable in my own skin - basically grateful to be alive." Having somebody to turn to was never the problem for me, it was more my reluctance to open up to anybody as I genuinely felt nobody else would ever understand how I was feeling. "Life has been exactly like it is for everyone, full of ups and downs, highs and lows. It hasn't got any easier but what has changed is my capacity to manage highs and lows with a far healthier outlook. I understand that the lows are temporary and will change, things will get better. I appreciate everything I have - my daughter, family and friends - and I am grateful to still be alive and able to tell my story. "I hope to be able to use my story as an inspiration to others in a similar position, so they can see there is an alternative ending to what they are currently thinking about. I hope that eventually everyone is more comfortable talking about their mental health, and specifically suicide without fear of judgement. 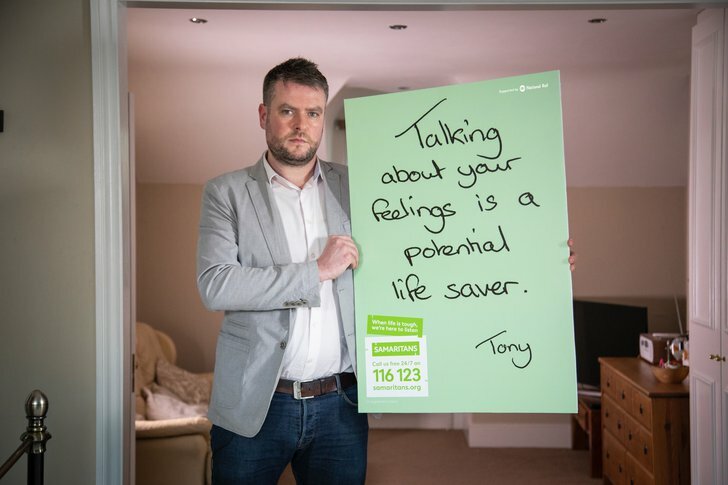 "Samaritans can be a potentially life saving service for anyone that feels they have nobody to talk to about how they're feeling. A non-judgmental ear to listen to them at a time when they need it most. "Opening up and talking about what is going on inside may not necessarily solve your problems, but talking and sharing helps you develop healthier coping mechanisms, so the next time life does get you to that place, you can deal with it confident that the feelings will pass, and tomorrow is another day."